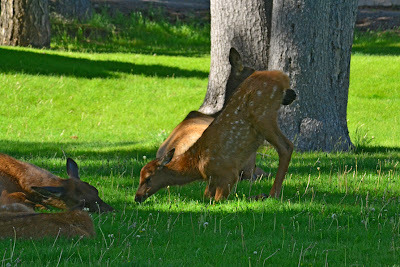 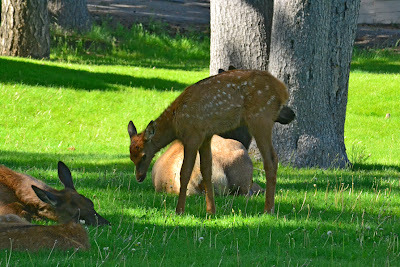 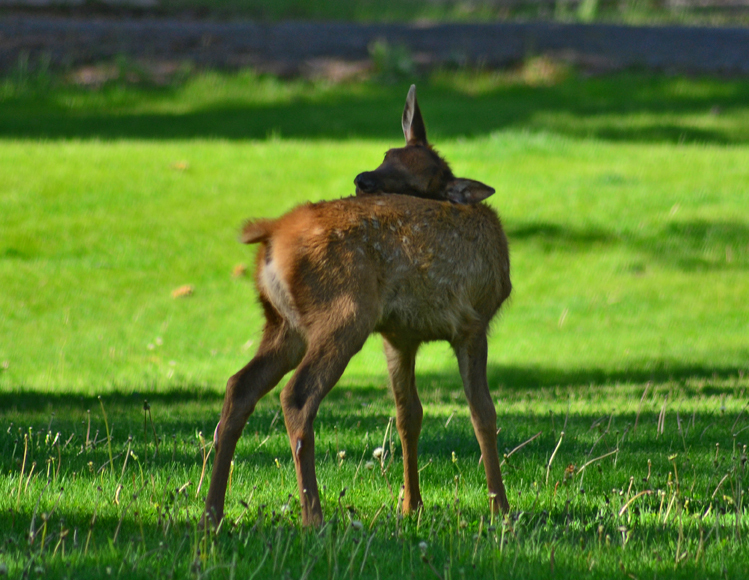 This weekend, I traveled to the Lake District of Yellowstone and then onto the Teton National Park. 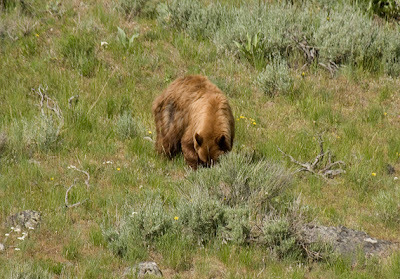 Along the way, I came across some bears. 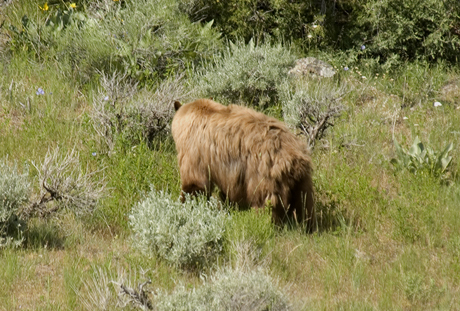 This shaggy grizzly with his winter coat still on him, was spotted just outside Mammoth Hot Springs along the Gardener River. 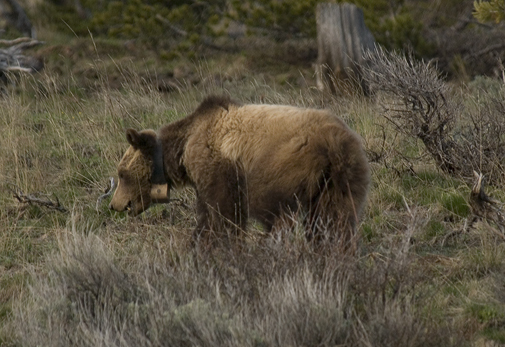 following their nose which is following their stomachs. 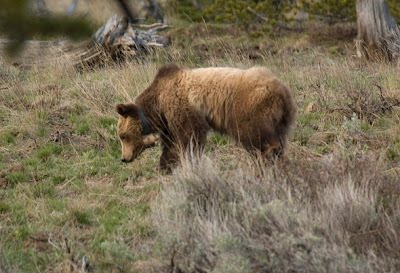 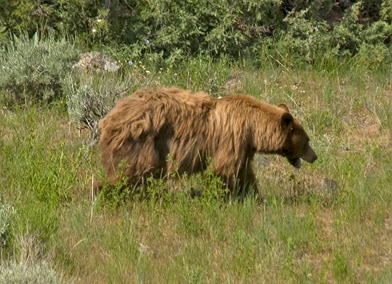 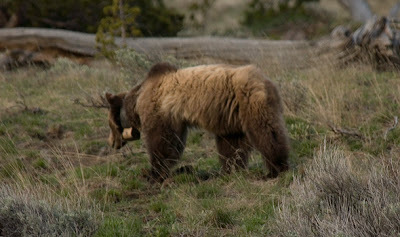 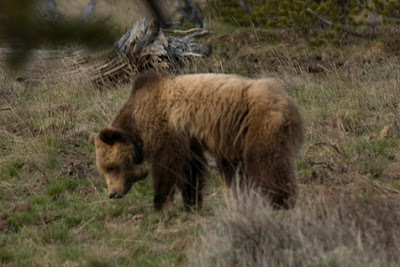 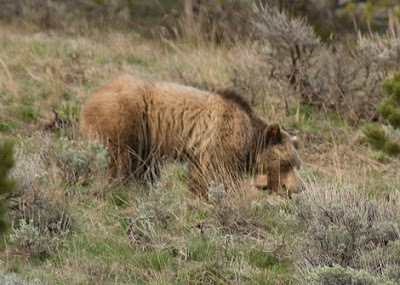 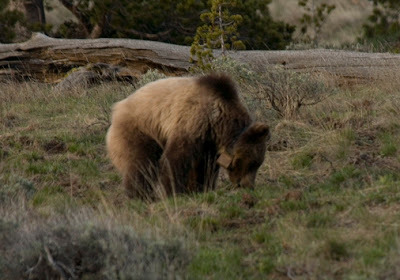 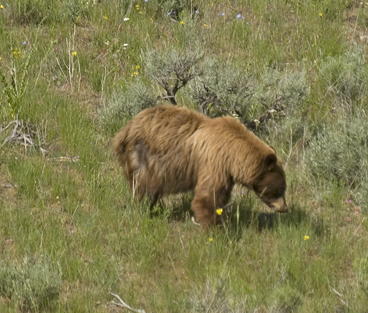 This large bear with a electronic collar attached to him was on the Washburn mountain just between the Canyon and Tower areas. 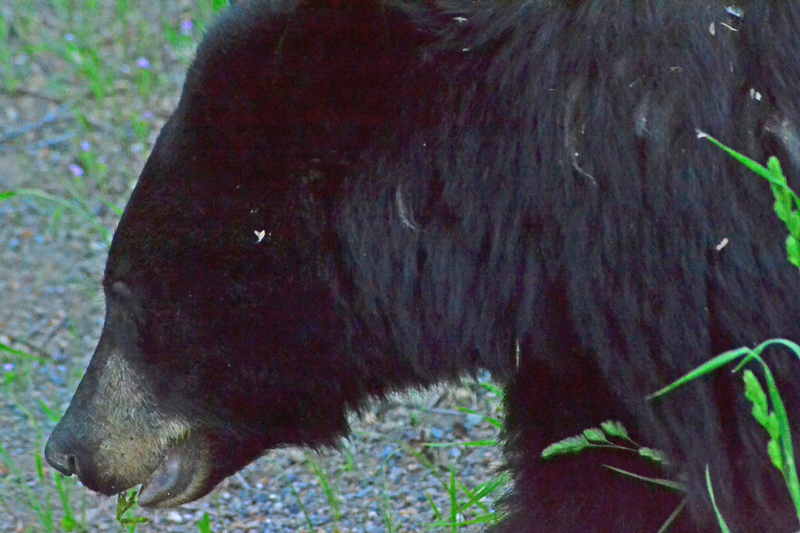 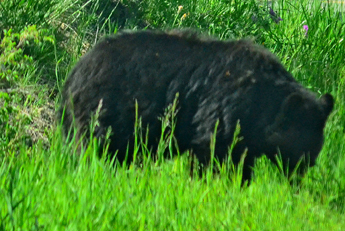 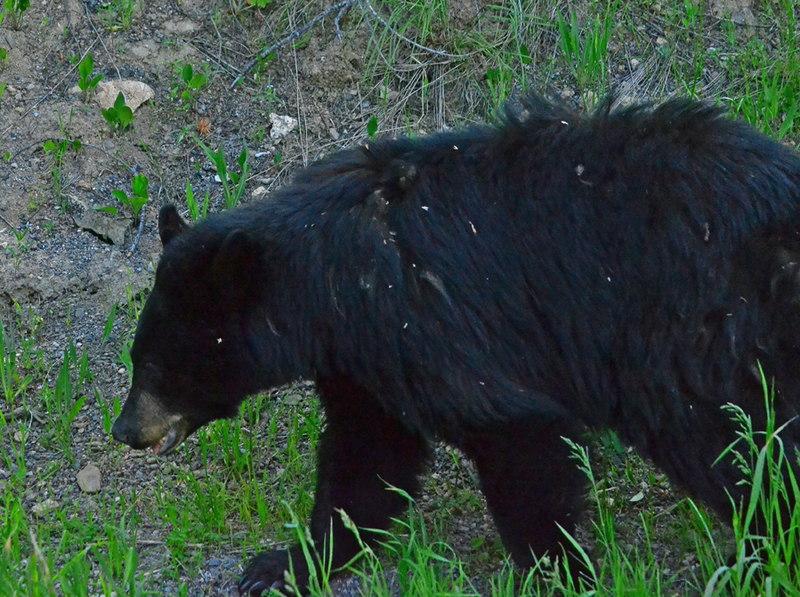 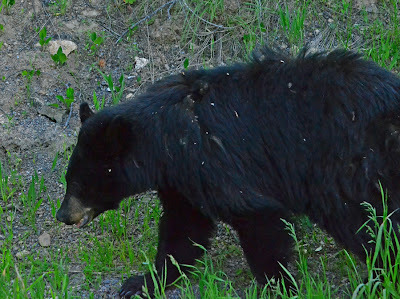 This black bear was sighted along the road coming out of the Lamar Valley. 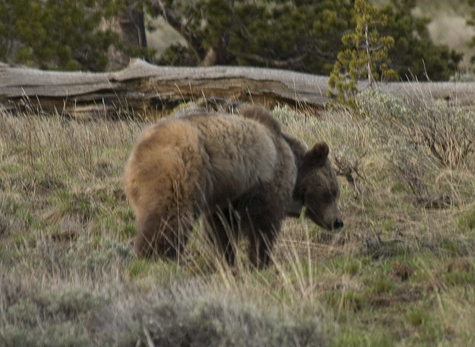 His ears eventually turned up because of the harassment from the tourists. 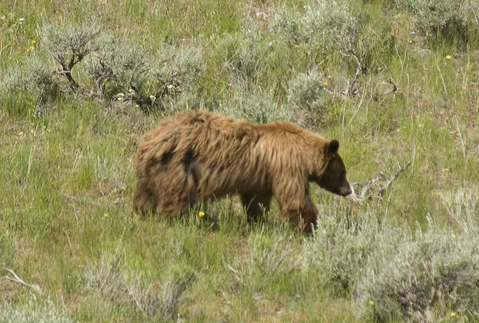 At work I was feeling beat up from all my outdoor activities so I took it easy this week with only a few lunchtime hikes. 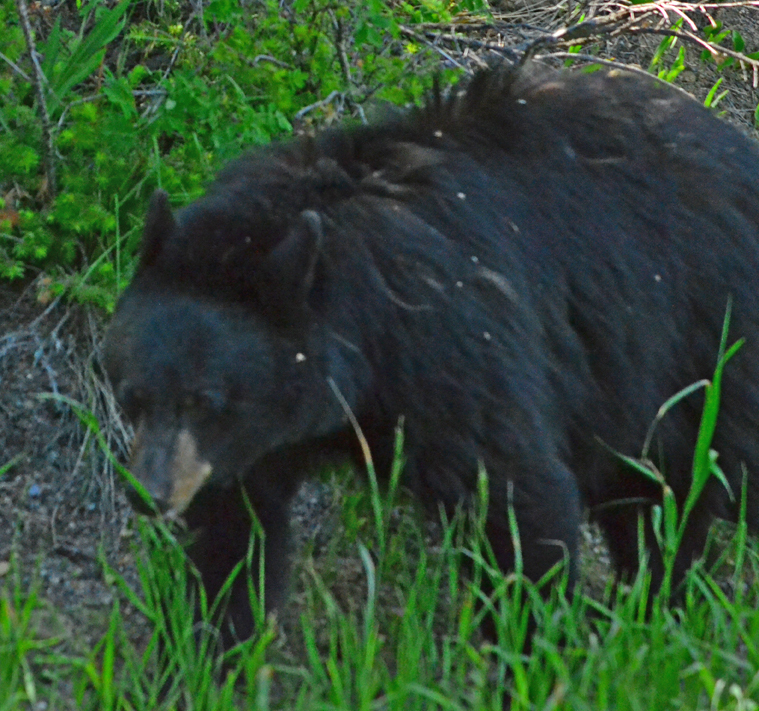 I was rewarded with the local animals coming around and showing off for me. 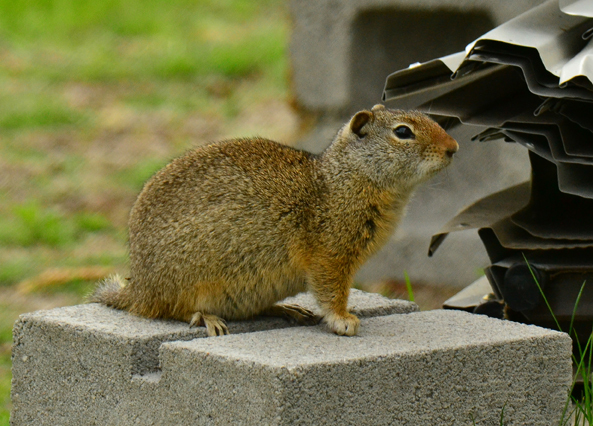 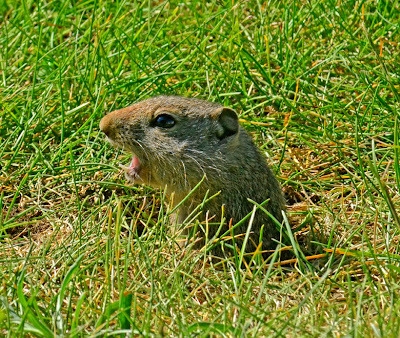 First up was the ground Squirrels, who take over entire blocks of the street in Lower Mammoth residential neighborhoods. 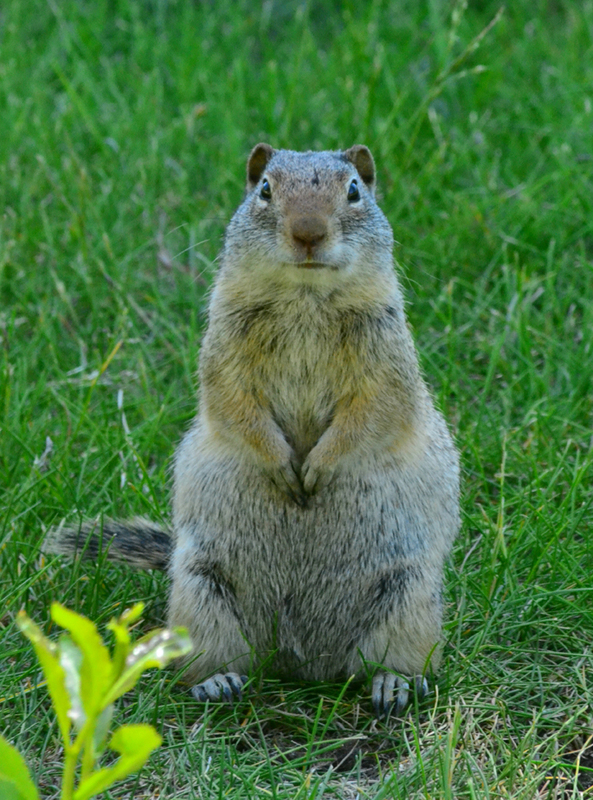 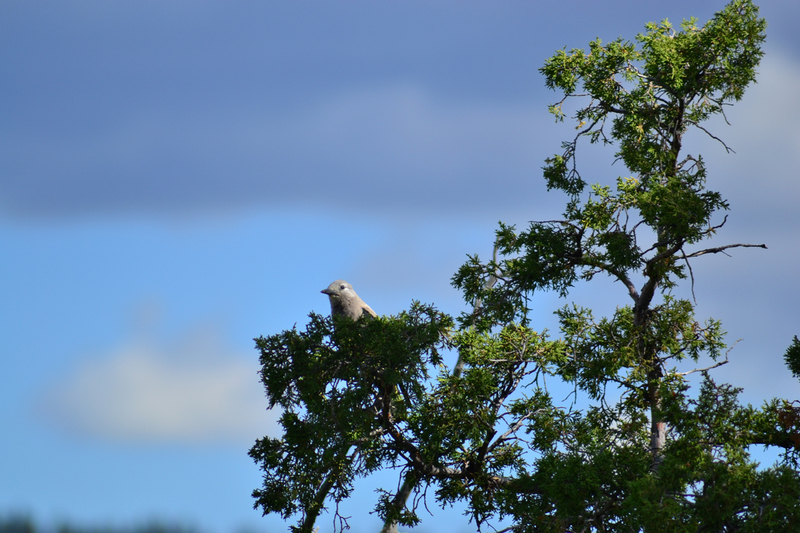 This fat fella was alarmed at first by my attentions, and sent out a chirping bark to warn his many friends and family that I was around. 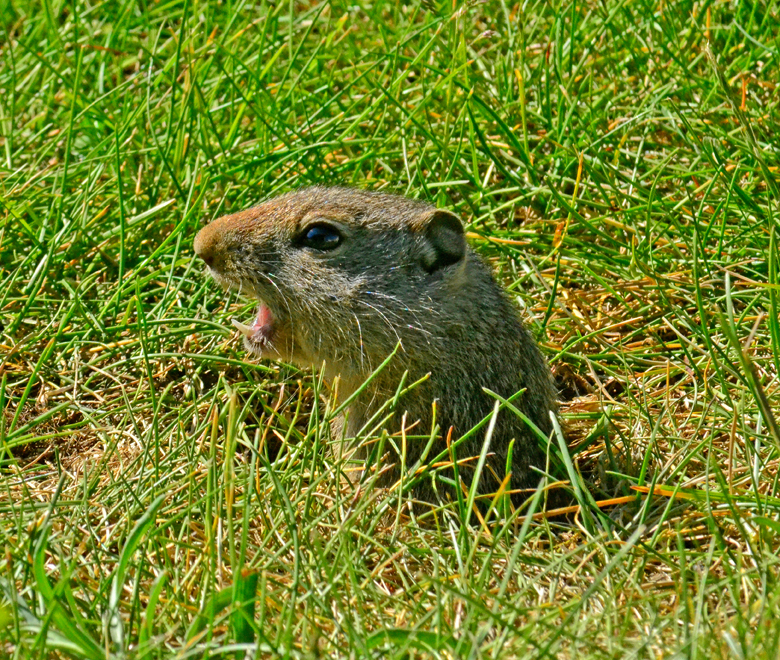 Then he came out of the hole for photo session. Here is another squirrel nearby. slow witted ground dwelling herbivore. Unfortunately, the hawk was attacked this day by a black bird or robin and the other days by a sparrow. 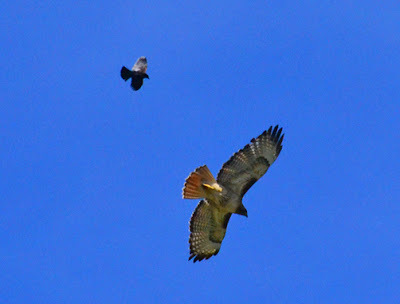 I even saw feathers fly off the back of the hawk on one lunge. 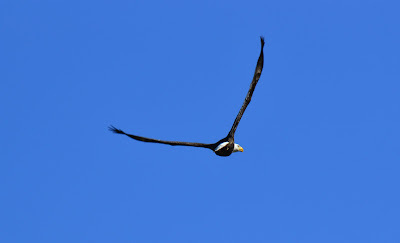 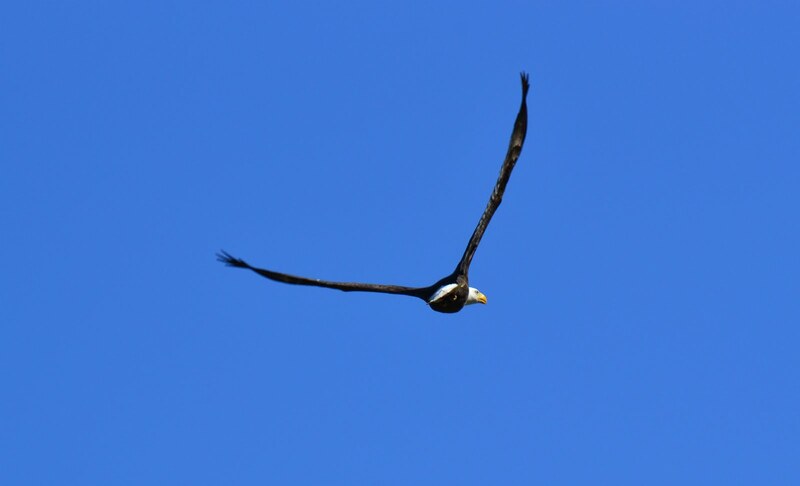 Along with the hawks hanging high a bald eagle came through and I got an ok shot. 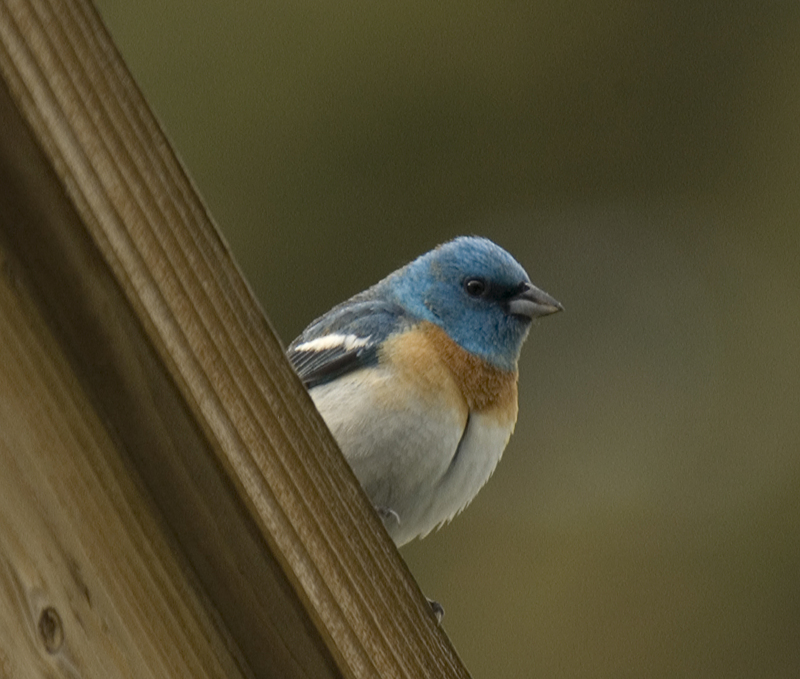 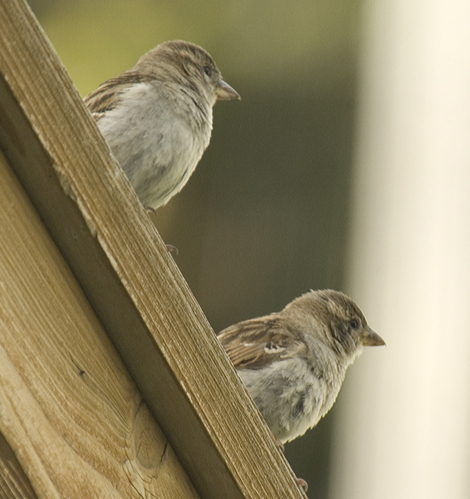 These buntings were also hanging out at my feeder this week. 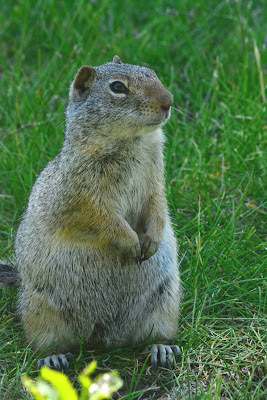 Here at Mammoth Clarks Nutcraker sits in a tree. of the tourist here at Mammoth. 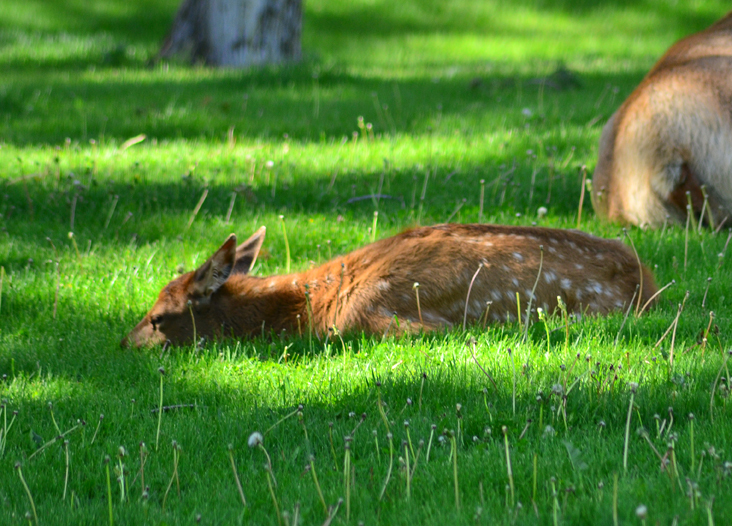 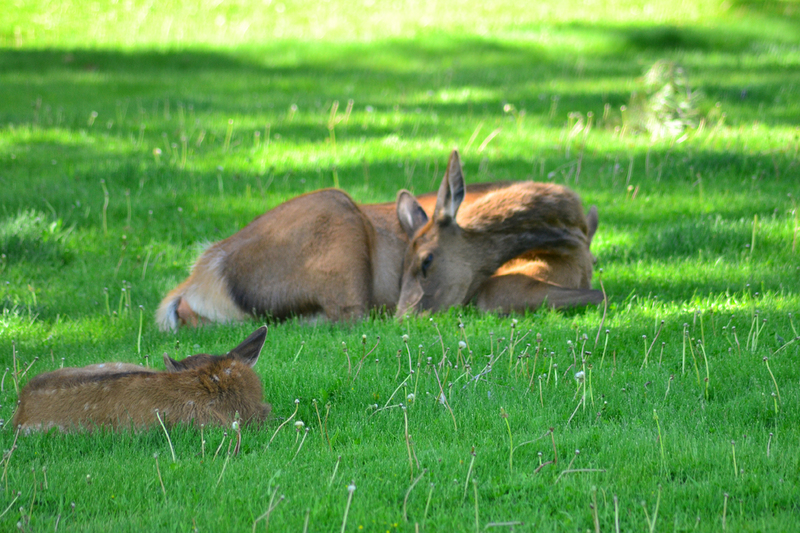 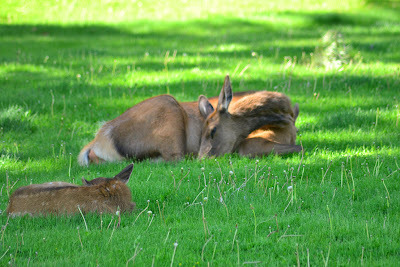 These guys and their mothers hang out in the shade for the late afternoon siesta time. 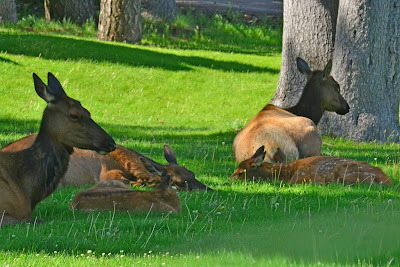 This next week, I take off to California for some weeks and hope to make it to Yosemite and the coast for some photography and much needed rest and relaxation. I will probably be not able to man this blog for some time but I promise when I return to have many great images of the West Coast and those I captured last this weekend in the Tetons. Until then see you all!